Access to Archival Databases (AAD) System - In the AAD resource online you may access records in a small selection of historic databases preserved permanently in NARA. Out of the nearly 200,000 data files in its holdings, NARA has selected approximately 475 of them for public searching through AAD. These data were selected because the records identify specific persons, geographic areas, organizations, and dates. The records cover a wide variety of civilian and military functions and have many genealogical, social, political, and economic research uses. Agency for Toxic Substances and Disease Registry (ATSDR) - Prevents adverse human health effects associated with exposure to hazardous substances from waste sites, unplanned releases, and other sources of pollution. Archival Research Catalog (ARC) - The online catalog of National Archives and Records Administration's nationwide holdings in the Washington, D.C., area, Regional Archives and Presidential Libraries. Budget of U.S. Government - Issued by the Office of Management and Budget (OMB), the Budget of the United States Government is a collection of documents that contains the budget message of the President, information about the President's budget proposals for a given fiscal year, and other budgetary publications that have been issued throughout the fiscal year. Other related and supporting budget publications are included, which may vary from year to year. Bureau of Economic Analysis (BEA) - Promotes understanding of the U.S. economy by providing timely, relevant, and accurate economic accounts data in an objective and cost-effective manner. National Economic Accounts - BEA's national economic statistics provide a comprehensive view of U.S. production, consumption, investment, exports and imports, and income and saving. These statistics are best known by summary measures such as gross domestic product (GDP), corporate profits, personal income and spending, and personal saving. International Economic Accounts - The international transactions accounts provide information on trade in goods and services (including the balance of payments and the balance of trade), investment income, and government and private financial flows. In addition, the accounts measure the value of U.S. international assets and liabilities and direct investment by multinational enterprises. BEA's data on direct investment- the most detailed data set on the activities of multinational enterprises (MNEs) available-are used to assess the role these business enterprises play in the global economy. Regional Economic Accounts - The regional economic accounts tell us about the geographic distribution of U.S. economic activity and growth. The estimates of gross domestic product by state and state and local area personal income, and the accompanying detail, provide a consistent framework for analyzing and comparing individual state and local area economies. Industry Economic Accounts - The industry economic accounts, presented both in an input-output framework and as annual output by each industry, provide a detailed view of the interrelationships between U.S. producers and users and the contribution to production across industries. These accounts are used extensively by policymakers and businesses to understand industry interactions, productivity trends, and the changing structure of the U.S. economy. Interactive Data - BEA's interactive data application is the one stop shop for accessing BEA data on the fly. The interactive application makes it easier to access and use our statistics by providing a common look and feel for users accessing national, international, regional or industry statistics. The application makes the data easier to print, save and export. The charting features are robust and visually appealing. The application also allows for data sharing with others via a number of social tools. Bureau of Labor Statistics (BLS) - Principal fact-finding agency for the U.S. federal government in the field of labor economics and statistics. Also see this directory of State Labor Market Information, maintained by the BLS. American Time Use Survey (ATUS) - Measures the amount of time people spend doing various activities, such as paid work, childcare, volunteering, and socializing. Employee Benefits Survey - Produces comprehensive data on the incidence (the percentage of U.S. workers with access to and participation in employer provided benefit plans) and provisions of selected employee benefit plans. National Compensation Survey - Provides comprehensive measures of occupational earnings; compensation cost trends, benefit incidence, and detailed plan provisions. Detailed occupational earnings are available for metropolitan and non-metropolitan areas, broad geographic regions, and on a national basis. The index component of the NCS (ECI) measures changes in labor costs. Average hourly employer cost for employee compensation is presented in the ECEC. National Longitudinal Surveys (NLS) - A set of surveys designed to gather information at multiple points in time on the labor market activities and other significant life events of several groups of men and women. Bureau of Transportation Statistics - Created to administer data collection, analysis, and reporting and to ensure the most cost-effective use of transportation-monitoring resources. Over the years of its existence, BTS established itself with a focus in three key areas, each mandated by legislation: 1) compiling, analyzing, and publishing a comprehensive set of transportation statistics; 2) making statistics readily accessible; and 3) implementing a long term data collection program. Catalog of U.S. Government Publications (CGP) - The CGP is the finding tool for federal publications that includes descriptive records for historical and current publications and provides direct links to those that are available online. Users can search by authoring agency, title, subject, and general key word, or click on "Advanced Search" for more options. Center for Regulatory Effectiveness (CRE) - Established in 1996, after the passage of the Congressional Review Act, to provide Congress with independent analyses of agency regulations. Provides public access to data and information used to develop federal regulations. Center for Disease Control and Prevention (CDC) - An agency of the Department of Health and Human Services promoting health and quality of life by preventing and controlling disease, injury, and disability. See FastStats A to Z. Chemical Health and Safety Data - Health and Safety information on over 2000 chemicals studied by the National Toxicology Program (NTP). Clearspending - Takes data from federal reporting systems and compares it with just the grants data found in USASpending.gov across three categories: Consistency, Completeness and Timeliness. How close are the reported dollar amounts to the yearly estimates? How many of the required fields are filled out in each record? And how long did it take the agency to report the money once it was allocated to a project? Code of Federal Regulations - Codification of the general and permanent rules published in the Federal Register by the executive departments and agencies of the Federal Government. It is divided into 50 titles that represent broad areas subject to Federal regulation. Commercial Fisheries Statistics - The NOAA Fisheries, Fisheries Statistics Division has automated data summary programs that anyone can use to rapidly and easily summarize U.S. commercial fisheries landings. Conference Reports - A conference report is a compromise on legislation that is negotiated between the House and Senate via conference committees. It is printed and submitted to each chamber for its consideration, such as approval or disapproval. This page contains links to active ("unofficial") and archived ("official") conference reports. Congress Votes Database - Browse every vote in the U.S. Congress since 1991. Maintained by the Washington Post. Congressional Committee Prints - Lists Congressional Committee Prints currently available in electronic format. CRS Reports - Penny Hill Press. CRS Reports for Congress on First Amendment Topics - First Amendment Center. Federation of American Scientists (FAS) - The FAS CRS collection focuses on national security, intelligence, foreign policy and homeland security. Foreign Relations and Related Issues - U.S. State Department. Google Congressional Research Service - This search looks into almost every CRS report on the Web and only into CRS reports. The Congressional Research Service (CRS) is the public policy research arm of the U.S. Congress. With its $80 million budget and 800 employees, it issues about 3,000 briefs, reports, short issue papers and longer position papers per year. Intelligence and Related Issues - Federation of American Scientists. Military and National Security - Federation of American Scientists. National Agricultural Law Center - Agriculture and food issues. National Council for Science - Science policy. Nuclear, Chemical and Missile Weapons and Proliferation - Federation of American Scientists. Open CRS Network - Search CRS reports. Space and Science Documents Index - Federation of American Scientists. Special Weapons Monitor - Federation of American Scientists. Thurgood Marshall Law Library/University of Maryland School of Law - CRS Reports developed with an emphasis on the areas of Health Law and Policy and Terrorism and Homeland Security. Congressional Serial Set - Contains the House and Senate Documents and the House and Senate Reports bound by session of Congress. It began publication with the 15th Congress, 1st Session (1817). Documents before 1817 may be found in the American State Papers. In general, it includes: committee reports related to bills and other matters, presidential communications to Congress, treaty materials, certain executive department publications, and certain non-governmental publications. CyberCemetary - The University of North Texas Libraries and the U.S. Government Printing Office, as part of the Federal Depository Library Program, created a partnership to provide permanent public access to the electronic Web sites and publications of defunct U.S. government agencies and commissions. This collection was named the CyberCemetery by early users of the site. Sites are organized both alphabetically and by category. Data.gov - The purpose of Data.gov is to increase public access to high value, machine readable datasets generated by the Executive Branch of the Federal Government. Data.gov includes searchable Raw Data that provides access to datasets and various tools. In the "raw" data catalog, you may access data in XML, Text/CSV, KML/KMZ, Feeds, XLS, or ESRI Shapefile formats. To better understand these file formats and other information about Data.gov, view the Glossary of Terms. Decisions of the Comptroller General of the United States - The Comptroller General, head of the Government Accountability Office, issues legal decisions and legal opinions on appropriations law, bid protests, and other issues of federal law. Comptroller General decisions and opinions are identified by a B-number and date. Appropriations Law - The Comptroller General provides opinions to Members and Committees of Congress, and decisions to certain agency officials on questions involving the use of, and accountability for, public funds, 31 U.S.C. §§ 3526, 3529, and decisions to relieve accountable officers for certain losses of public funds, 31 U.S.C. 3527, §§ 3528. Bid Protests - A bid protest is a challenge to the award or proposed award of a contract for procurement of goods and services or a challenge to the terms of a solicitation for such a contract. Congressional Review Act Resources - GAO tracks all rules (major and nonmajor) submitted to it and reports on major rules, summarizing and assessing the procedural steps taken by the federal agencies. Contract Appeals Board - Considers appeals of decisions by contracting officers in various legislative branch agencies, including the Architect of the Capitol and the Government Printing Office. Federal Vacancies Act Resources - Executive branch departments and agencies are required to report to Congress and GAO information about the temporary filling of vacant executive agency positions that require presidential appointment with Senate confirmation. The act provides that the Comptroller General report to specified congressional committees, the President, and the Office of Personnel Management if an acting officer is determined to be serving longer than the 210 days (including applicable exceptions) established by the act. Edgar Securities and Exchange Commission Database Search - Searchable index to EDGAR documents. FDsys - GPO is unveiling the next generation of Government information online with GPO's Federal Digital System (FDsys). FDsys provides free online access to official Federal Government publications. Currently, the following collections available in FDsys. FedBizOpps (Federal Business Oppportunities - FBO) - The single government point-of-entry (GPE) for Federal government procurement opportunities over $25,000. Government buyers are able to publicize their business opportunities by posting information directly to FedBizOpps via the Internet. Through one portal, commercial vendors seeking Federal markets for their products and services can search, monitor and retrieve opportunities solicited by the entire Federal contracting community. Federal Bureau of Prisons (BOP) - BOP directory and inmate information. Federal Inmate Locator - The Freedom of Information Act (5 USC 552) and the Privacy Act of 1974 (5 USC 552a) authorize the release of certain information about Federal inmates, including information such as name, age, and register number, as well as sentencing and confinement data (offense, date sentenced, institution of confinement). Use this page to locate a Federal inmate incarcerated from 1982 to present. Federal Deposit Insurance Corporation (FDIC) - Insures deposits and promotes safe and sound banking practices. Federal Procurement Data System (FPDS) - Produces reports which examine various aspects and impacts of the Federal acquisition process. The data can be used for geographical analysis, market analysis, and analysis of the impact of congressional and presidential initiatives in socio-economic areas such as small business. The data is also a reliable basis for measuring and assessing the impact of Federal acquisition policy and management improvement. Notices - These documents include notices of public meetings, hearings, investigations, grants and funding, environmental impact statements, information collections, statements of organization and functions, delegations, and other announcements of public interest. Final Rules - Contains regulations that apply to the general public and have final legal effect. It also includes interim final rules, direct final rules, and various determinations, interpretive rules, and policy statements. The documents cite to the Code of Federal Regulations, which contains the codified text of final rules, and is published annually in 50 titles. Presidential Documents - Contains documents signed by the President of the United States. Documents include Executive Orders, Proclamations, Administrative Orders, Presidential Memoranda, and other issuances of the President that are required or directed to be published in the Federal Register. Proposed Rules - These documents announce and explain agencies' plans to solve problems and accomplish goals, and give interested persons an opportunity to submit comments to improve the final regulation. It also includes advance notices of proposed rulemaking, petitions for rulemaking, negotiated rulemakings, and various proposed determinations and interpretations. Federal Register Public Inspection Desk - Documents scheduled to be printed in future issues of the Federal Register, available now, online. FedSpending - A database of federal grants and contracts award information. FedSpending.org relies on the federal government's data for this website. The data is largely from two sources: the Federal Procurement Data System, which contains information about federal contracts; and the Federal Assistance Award Data System, which contains information about federal financial assistance such as grants, loans, insurance, and direct subsidies like Social Security. Geographic Names Information System (GNIS) - Developed by the U.S. Geological Survey in cooperation with the U.S. Board on Geographic Names, contains information about physical and cultural geographic features in the United States and associated areas, both current and historical (not including roads and highways). The database holds the Federally recognized name of each feature and defines the location of the feature by state, county, USGS topographic map, and geographic coordinates. Other feature attributes include names or spellings other than the official name, feature designations, feature class, historical and descriptive information. The database assigns a unique feature identifier, a random number, that is a key for accessing, integrating, or reconciling GNIS data with other datasets. The GNIS is the official repository of domestic geographic feature names information for the U.S.
Government Printing Office (GPO) - Provides publishing and dissemination services for the official & authentic government publications to Congress, Federal agencies, Federal depository libraries, and the American public. Customers - Find the latest GPO services and products. Libraries - Find information about Federal depository libraries and the Catalog of U.S. Government Publications. Vendors - Find out how you can do business with GPO. Governmentattic - Eclectic collection of thousands of Federal Government documents obtained under the Freedom of Information Act. Information Security Oversight Office (ISOO) - Responsible to the President for policy and oversight of the Government-wide security classification system and the National Industrial Security Program. Information Security Oversight Office (ISOO) Reports - Oversees the security classification programs in both Government and industry, and reports to the President annually on their status. This page, from FAS, provides ISOO annual reports and other documents. National Archives and Records Administration (NARA) - Find federal records; locate government documents and library materials. OpenGov - Over 1,500 public agencies in 48 U.S. states form a growing network leveraging OpenGov’s Smart Government Cloud to achieve better budgeting, improved reporting and operational intelligence, and comprehensive transparency and open data. OSTI.gov - OSTI is the DOE office that collects, preserves, and disseminates DOE-sponsored R&D results that are the outcomes of R&D projects or other funded activities at DOE labs and facilities nationwide and grantees at universities and other institutions. The information is typically in the form of technical documents, conference papers, articles, multimedia, and software, collectively referred to as scientific and technical information (STI). Plum Book - Every four years, just after the Presidential election, the United States Government Policy and Supporting Positions, commonly known as the Plum Book, is published, alternately, by the Senate Committee on Governmental Affairs and the House Committee on Government Reform. The Plum Book is used to identify presidentially appointed positions within the Federal Government. Presidential Documents - The Compilation of Presidential Documents collection consists of the Weekly Compilation of Presidential Documents and the Daily Compilation of Presidential Documents which are the official publications of materials released by the White House Press Secretary. The Compilation of Presidential Documents is published by the Office of the Federal Register (OFR), National Archives and Records Administration (NARA). Public and Private Laws - Public and private laws are also known as slip laws. A slip law is an official publication of the law and is competent evidence admissible in all state and Federal courts and tribunals of the United States. Public laws affect society as a whole, while private laws affect an individual, family, or small group. After the President signs a bill into law, it is delivered to the Office of the Federal Register (OFR), National Archives and Records Administration (NARA) where it is assigned a law number, legal statutory citation (public laws only), and prepared for publication as a slip law. Private laws receive their legal statutory citations when they are published in the United States Statutes at Large. Prior to publication as a slip law, OFR also prepares marginal notes and citations for each law, and a legislative history for public laws only. Until the slip law is published, through the U.S. Government Printing Office (GPO), the text of the law can be found by accessing the enrolled version of the bill. Public Papers of the Presidents of the United States - An online service that makes available material compiled and published by the Office of the Federal Register, National Archives and Records Administration. 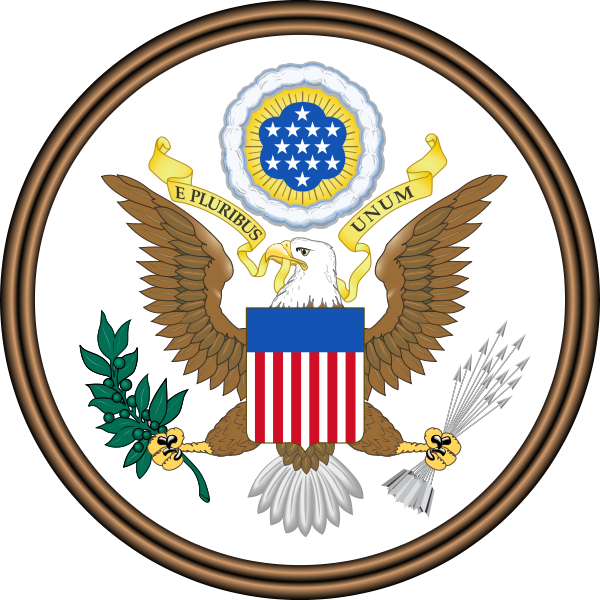 Records of Congress (NARA Legislative Archives) - Since the First Congress in 1789, the records of the U.S. House of Representatives and the U.S. Senate have documented the history of the legislative branch. These records remain the legal property of the House and Senate, but are preserved and made available by the Center for Legislative Archives, part of the National Archives. Regulations.gov - Source for all regulations (or rulemakings) issued by U.S. government agencies. After Congressional bills become laws, Federal Departments and Agencies are responsible for enforcing those laws through regulations. Departments and Agencies develop regulations through the Federal rulemaking process, most commonly through a notice-and-comment process. In general, Departments and Agencies publish proposed rules that are open for public comment, and after a specified timeframe, the Department or Agency publishes a final rule based on public comments and other information. Regulations.gov users can find Federal proposed and final rules published every business day by the National Archives and Records Administration (NARA) in the U.S. government's Federal Register, and submit comments through the web site to the Agencies on proposed rules that are open for public comment. Storming Media - Provides unclassified reports and documents from the Pentagon about science, technology, strategy or policy. Subsidyscope - A searchable database of federal subsidies. An initiative of the Pew Charitable Trusts, Subsidyscope aims to raise public awareness about the role of federal subsidies in the economy. Survey of Consumer Finances (SCF) - Survey data includes information on families' balance sheets, pensions, income, and demographic characteristics. Information is also included from related surveys of pension providers and earlier such surveys. By selecting a given survey, users may obtain summary results, codebooks and other documentation, and the publicly available data for that survey. Prepared triennially by the Federal Reserve System. System for Award Management (SAM) - A Federal Government owned and operated free web site that consolidates the capabilities in CCR/FedReg, ORCA, and EPLS. Future phases of SAM will add the capabilities of other systems used in Federal procurement and awards processes. U.S. Courts Statistics and Reports - Statistical data and analysis on the business of the federal Judiciary. Specific publications address the work of the appellate, district, and bankruptcy courts; the probation and pretrial services systems; and other components of the U.S. courts. U.S. Department of Justice OIG Special Reports - DOJ OIG reports and testimony. U.S. Government Accounting Office (GAO) - The investigative arm of Congress charged with examining matters relating to the receipt and disbursement of public funds. The GAO performs audits and evaluations of Government programs and activities. U.S. Government Manual - As the official handbook of the Federal Government, the United States Government Manual provides comprehensive information on the agencies of the legislative, judicial, and executive branches. It also includes information on quasi-official agencies; international organizations in which the United States participates; and boards, commissions, and committees. The Manual begins with reprints of the Declaration of Independence and the U.S. Constitution. 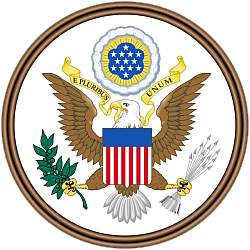 U.S. Government Printing Office - Produces, procures, and disseminates printed and electronic publications of the Congress as well as the executive departments and establishments of the Federal Government. U.S. Patent Database - Access bibliographic and full-text patent databases. U.S. Census Bureau - Collector and provider of timely, relevant, and quality data about the people and economy of the U.S.
U.S. Government Ready Reference Collection - A subject arrangement of the most frequently used depository document titles at Columbia University Libraries. USA Facts - U.S. federal, state and local datea from over 70 government sources. USA.gov - Home page of the U.S. Government's Official Web Portal for all government transactions, services, and information. It provides direct online access to federal, state, local, and tribal governments. This webpage last updated on Sunday, May 21, 2017 7:42 PM.